1) For studio photography the perfect age is between 5-12 days. At the point when babies are that small they invest a great deal of energy sleeping and still curl up into cute poses like the positions they were in when they were in the womb. 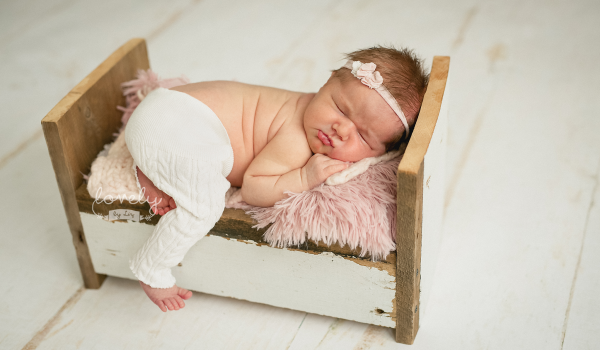 Following two weeks babies experience a growth spurt and will begin extending their arms and legs and won’t be as amenable to curling up for a photo or sleeping as soundly, which is required for a portion of the poses and photos in props like the ones in the baskets. 2) You should book your session as far out as could reasonably be expected, as ahead of schedule as your second trimester. Photographers normally book sessions 3-4 months in advance and for occupied photography seasons, it can even be 5-6 months out. They have gotten several phone calls from parents who have recently conceived an offspring who need to book an appointment and photographers have no accessibility left. At that point they get extremely pitiful in light of the fact that it’s such a short window of time to take those exceptional portraits and they missed it. 3) “Studio sessions commonly last 3-4 hours which incorporates portraits of the infant on his or her own and after that with each parent and afterward the entire family together. That may appear like it takes quite a while, however as a rule about portion of that time is spent sustaining and soothing the child to get him or her as languid and cheerful as that’s workable for the portraits. 4) A standout amongst the most imperative things is to ensure the room is warm. Many photographers keep the warmth turned far up and have a space heater alongside the infant. They additionally play white sound or soft music relying upon what the child reacts to better. This keeps babies quiet and sleeping in some cases parents as well. I have had numerous a father dozes off on my lounge chair. I additionally never constrain an infant into a pose he or she is awkward in and given the child a chance to demonstrate to me which poses he or she mostly comfortable to nestled into. 5) The most exceedingly awful thing a parent can do is be anxious. On the off chance that your baby is crying, you need to trust the photographer to have the capacity to comfort her. Persistently swooping in and cradling the baby back and forth can make a new born child much more upset. My recommendation is to take a deep breath and unwind. It’s very natural to be anxious, particularly when it’s your little baby to begin with, however the best thing a parent can do is kick back and take several hours to browse their email, tune in to music or simply appreciate looking at their infant in all of their cute poses.